River North might just be the nightlife capital of Chicago. However, this neighborhood has much more to offer than just bars. You could easily spend an entire day here dining, shopping and enjoying the city. Keep reading for your guide to a day in River North that won’t break the bank. Your best bet? Take the CTA Red line to the Grand stop (521 N. State Street). Troquet River North (111 W. Huron Street) is a trendy French Tavern serving breakfast and brunch. Order a few dishes to share, such as Parmesan Truffle Fries, Beef Hash, and Crepes au Nutella. Menu items are all very reasonably priced (especially if you split small plates with a friend!). 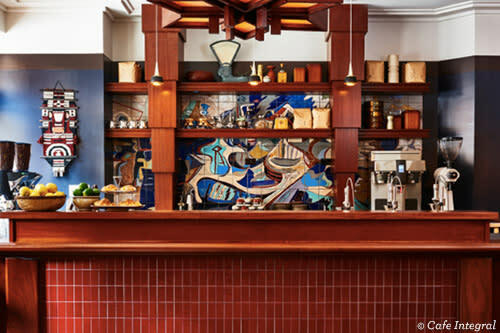 Or, fuel your day with a Nicaraguan coffee and light bites at Café Integral (19 E. Ohio Street) at Freehand hotel. Either way, after fueling up, you&apos;ll be ready to take River North by storm. In the mood for tacos? 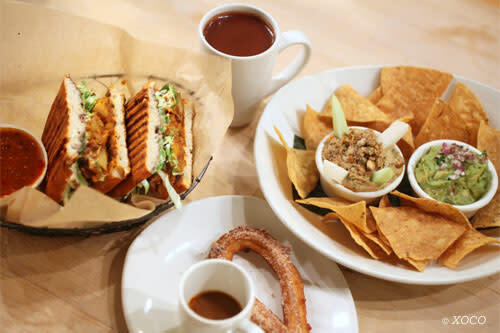 You can’t go wrong with XOCO (449 N. Clark Street) or Seoul Taco (738 N. Clark Street). Regardless of your choice, River North restaurants are a great deal for the price, thanks to top Chicago chef-proprietors, local/fresh ingredients and truly unique flavors you won&apos;t find anywhere else. Or stop by Hannah’s Bretzel (400 N. LaSalle Drive) for a delicious pretzel bread sandwich packed with your choice of organic ingredients. And of course, there’s always Portillo’s (100 W. Ontario Street) for Chicago style hot dogs and more. If you&apos;ve never been, don&apos;t miss your chance to try the chocolate-cake shake, chopped salad, cheese fries, and (or) a hot Italian beef sandwich. 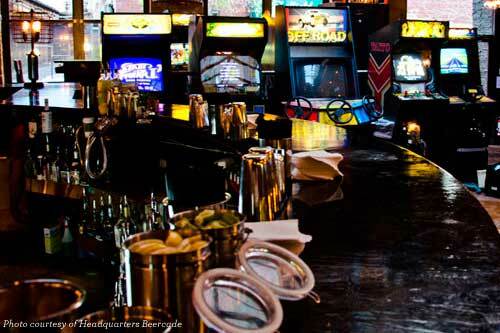 Headquarters Beercade (213 W. Institute Place) is an arcade bar with old school video games (all free to play!). If that’s not your thing, have a laugh at The Comedy Bar (500 N. LaSalle Drive) inside of Gino’s East. For a more low-key or family friendly night, catch the latest movie at AMC 600 North Michigan. The AMC frequently features free movie premieres and special events (such as film festivals) that make seeing a flick much cheaper than you&apos;d expect in a big city such as Chicago. 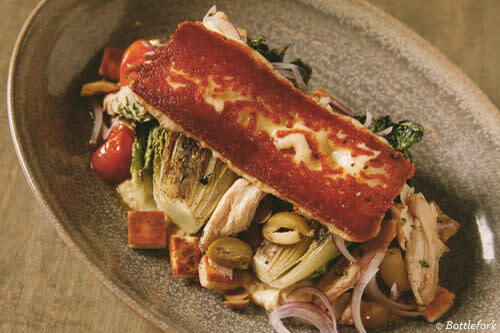 Try Bottlefork (441 N. Clark Street) for New American eats in a stylish setting. They have a wide variety of dishes and fun cocktails that aren’t too pricey. Quartino (626 N. State Street) is a favorite for Italian food. Their small plates are meant to be shared—you could order a few for a reasonably priced meal. 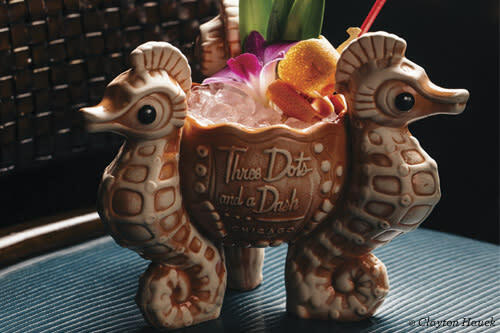 Three Dots and a Dash (425 N. Clark Street) is a neighborhood favorite. With cocktails that usually cost about $14 each, it&apos;s certainly not the cheapest option, but it&apos;s still worth visiting to complete your day in River North. For that price, you get a fun tiki cocktail, enough liquor to get you pretty buzzed and a fun atmosphere (especially during Chicago&apos;s bitter winters). Locals — did we miss one of your favorite spots? Leave a comment letting us know. Explore a complete River North guide, or find more Chicago neighborhoods of the city to explore, all minutes from downtown.